Volkswagen described the Westfalia Campmobile as "having a cottage that goes anywhere you want to go", and that really is true. Wilson is my home away from home, and I enjoy every chance I can get to take him camping. Even outside of camping, it’s nice to know I always have a place to sleep when I’m traveling. The sink, electric hook-up, and icebox provide the basic amenities for a weekend. The bus sleeps two comfortably with the fold down z-bed. 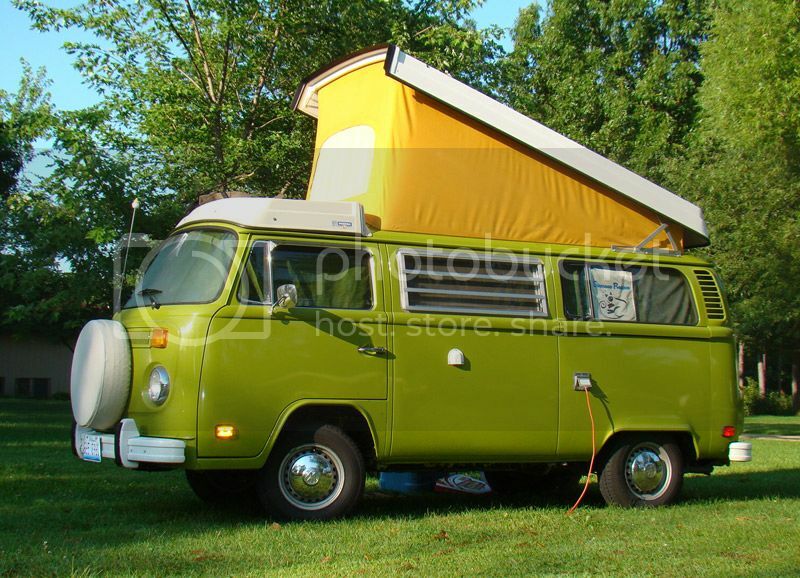 VW claimed 4-5 could sleep in the Campmobile, but that would be a tight squeeze, even with kids. I like the pop-up top because it adds a lot of head room. I'd guess 7' at the tallest point. The Volkswagen camper has always been a symbol of freedom to me. Freedom to go where you want to go, and stay for as long as you need to stay. Sure, you could get a huge RV and live like royalty, but you can't duplicate the personality and happiness a Volkswagen provides. I receive smiles and waves from complete strangers on almost every trip, not to mention the other VW drivers I see along the way. I wouldn't trade Wilson for any other driving experience.